Bullying is known to negatively impact the health of young people, but a less well appreciated sequelae is its impact on sleep. Disturbed sleep in-of-itself is known to also negatively impact health, raising the possibility that sleep disruption may explain some of the impact of bullying on health. Participants (n = 27,208, age = 9.7–17.7 years, 51% male) completed in the classroom the South Australian Wellbeing and Engagement Collection, which contained items assessing exposure to bullying, subjective sleep quality, timing of sleep, anxiety, sadness and physical health. Analyses revealed that bullying was related to later bedtimes, poorer subjective sleep quality, higher sadness, higher anxiety, and poorer physical health ratings. 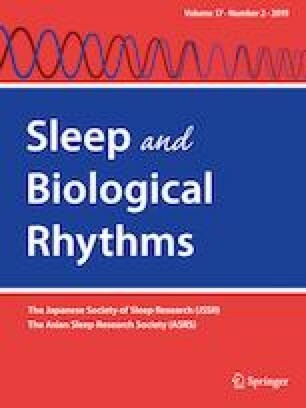 Poorer subjective sleep quality and later bedtimes were related to higher sadness and poorer physical health ratings. Poorer subjective sleep quality, but not bedtimes, was related to higher anxiety. The findings suggest that some of the relationship between bullying and health may be explained by the relationship between bullying and sleep. Including measures to promote better sleep is recommended in future anti-bullying strategies. AA is supported through an Australian Government Research Training Program Scholarship. The authors would like to sincerely thank the participants for providing valuable data and Dr. Mark Kohler, Alice Hawkes, and Anna Lewkowicz for their comments on an earlier version of this manuscript. Financial disclosure: none. Non-financial disclosure: none. On behalf of all authors, the corresponding author states that there is no conflict of interest.